Liverpool's Joe Gomez set to undergo surgery on lower leg fracture, the Premier League leaders announced on Monday. Liverpool's inital assessment was that Gomez might be sidelined for six weeks, but have now refused to set a specific timescale for the England international's recovery, although he is expected to play again this season. 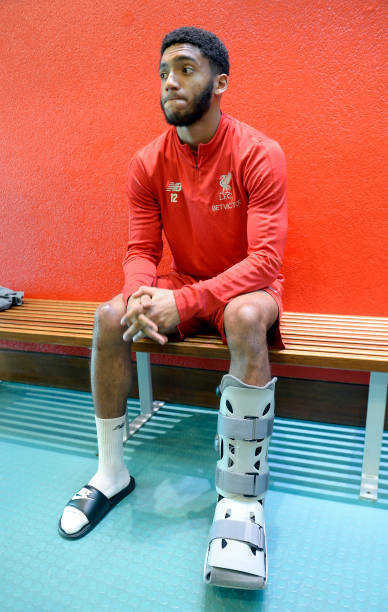 "Liverpool confirm Joe Gomez is to undergo surgery to assist his recovery from a lower leg fracture sustained at Burnley on December 5," the club said in a statement. Liverpool manager Jurgen Klopp added: "It's a blow for the boy and for us, because prior to the injury he was in such fantastic shape. "But he is too valuable to take any risk with, both for our present and future, so we get this procedure done and he comes back when he's ready."